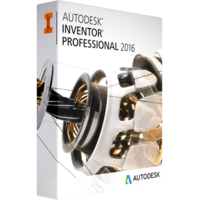 Autodesk Inventor Professional 2016 is a specific software for 3D technical modeling and engineering. It is an annual release by Autodesk which has got ultimate new features worth upgrading from the previous version as well as worth purchasing the 2016 release of the software. Autodesk Inventor Professional 2016 breaks the obstacles and overcomes the challenges a designer commonly faces when creates 3D objects and projects. The 2016 release advances the user experience in the digital design environment enhancing communication of data between you and people for whom you create a project. What is new in Autodesk Inventor Professional 2016? The 2016 version of the popular software enhances your efficiency in the Multi-CAD environment. •	Now you can use associative import of various CAD data maintaining links to initial files. Thus the geometry will also remain updated to the current changes made to the initial file. •	Now the software supports selective import thus you can choose only necessary geometric objects to import into your current project. This advances and speeds up the process. •	In the Autodesk Inventor Professional 2016 multi-thread support has been enabled. This option allows the software to use hardware resources more efficiently. Thus slow downs of the performance are eliminated. •	The importing option has been revised and simplified.  It now ensures clearer choice of objects providing more visibility to a user. •	DWG files are now easily imported into Inventor projects and are easily set as DWG underlays. •	In this version of the software you can set relationships to details assembly in underlay geometry. •	Each Inventor project offers DWG geometry tools to create any object you need. •	3D DWG technology designs will get updated when 2D linked geometry will be changed in other AutoCAD products. The software now enables you to simply work with closed or open surfaces. To refine shapes you can convert existing models into freedom geometry. Updated and new commands ensure simple and easy creation of offset surfaces, various solids and shell walls. Finally the 3D printing environment is realized to its full-fledged scale in the Autodesk Inventor Professional 2016 release. The option lets you to position a detail you need to print on 3D printer in the environment and to place it correctly to avoid costly production mistakes. The detail you place for 3D printing is editable. This means you can apply certain changes right before starting to print. You can use standard printing option provided in the software as well as to send a modified detail to any printing software. Other improvements have touched upon drawing environment which has become simpler and more intuitive. New users will benefit from improved learning experience. The Autodesk Inventor Professional 2016 offers improved visualization which is essential for any part of design creation. We were fully satisfied with the work of the shop. We often order the software for our company here and were pleased with the variety of options for payment. Last time we ordered Pro version of Windows 10. 15 minutes after the payment we got the key and installed everything without problems. Special thanks to the manager, who paid us a lot of attention and answered all our questions. We were satisfied with the service! A great choice of different programs. At first I was confused, but I figured out quickly due to the convenient navigation at the shop’s website. I ordered the e-mail delivery. They sent me a key card free. I paid only for the program itself, without spending extra money. I always buy here the software for the work, and they have never failed me yet. The time from the payment to the delivery of goods is minimal. There is a personal discount. There are qualified specialists on the phone, Maybe everybody knows about the software)) Thanks for being there!